Let me start this off by saying plagiarists are the WORST. Unfortunately, plagiarism is made easier than ever with self-publishing these days. If you post your work online – on fanfic forums, on Wattpad, on critique sites, on your own website, etc. – you run the risk of that work being stolen and put up for sale as an ebook, with someone else potentially making money off of your labour. I’ve seen it happen often in one of my fandoms. The Jane Austen fandom is huge and has a prolific amount of fanfic online and a very active community of authors self-publishing or indie publishing. A lot of stories are initially posted online on big fanfic sites like Archive of our Own or fanfiction.net or on more specialized forums that focus on JAFF (Jane Austen Fan Fiction) and later published a in ebook and/or paperback form. Blatant plagiarism – clear copy/paste jobs from the fanfic sites packaged with a slapped-together cover – is all too common. Luckily, JAFF readers are ON IT and sound the alarm as soon as there’s an inkling of plagiarism. For example, in 2015, Catherine Lodge learned from a fan of her work that two of her stories that she had posted on ff.net and on A Happy Assembly (an Austen forum) back in 2008, A New Beginning and Fair Stands the Wind, were being sold on Amazon under her pen name—and she knew nothing about it. (You can read her account here.) She was able to get this plagiarized volume taken down quickly, thankfully, but you can imagine how awful it must feel to have your work stolen. Fast forward two years, and Catherine now has a contract with Meryton Press for Fair Stands the Wind (I was the editor on this). After lots of work by Catherine and everyone at MP to edit, design, and market the book, the book was ready to launch when suddenly everything stalled when the ebook was uploaded to Amazon but not approved. What happened, you ask? Amazon took down that plagiarized work in 2015, but because it was technically a third-party dispute and the parties – i.e. Catherine and her unknown plagiarist – hadn’t informed them that it was resolved (because why would Catherine if they took it down themselves at her request?? ), it was apparently not marked as resolved in the system, so the legit copy that we had worked on was flagged as plagiarized! So after having to deal with someone ripping off her work two years earlier, Catherine again had to prove that she was the copyright owner. Swimming through email channels to get this resolved and the ebook up for sale was a headache and a half, but Catherine kept at it and the happy ending to this story is that it IS now available (and it’s a beautiful story and you should buy it). This whole process was a lot of stress and a lot of frustration for everyone involved, all because some jerk decided to try to make a quick buck off of someone else’s work two years ago. And of course this person was never caught or punished for it. Let me reiterate again: plagiarists are the WORST. So what do you do? Should you just never post your work online anymore for fear that it’ll be stolen? To be totally honest with you: if you have stories online and someone wants to steal it, it’s pretty easy for them to do it. But no, I would never tell anyone to not post their writing online. Sharing your work online is valuable – you get feedback, learn how to respond to criticism and react to an audience, develop your craft, and build your fanbase of loyal readers. (And I, for one, am super grateful to great writers who share their talents online and will happily support them by buying their book later on if they publish it.) You probably don’t want to give that up on the off-chance someone might steal your work, as scary as that is. Ok, this notice doesn’t do a whole lot, honestly – you own the copyright on your work as soon as you take it out of your head and put it on paper, so it’s not entirely necessary. But the notice shows that you know that you have rights as a copyright holder and that you will be willing to defend them. (You can register your copyright for some extra benefits, but your copyright is still yours whether you register or not.) Educate yourself on copyright laws so you know how to protect yourself. Here’s some info (from 2009) about the Berne Convention, which protects copyrighted works in these countries. 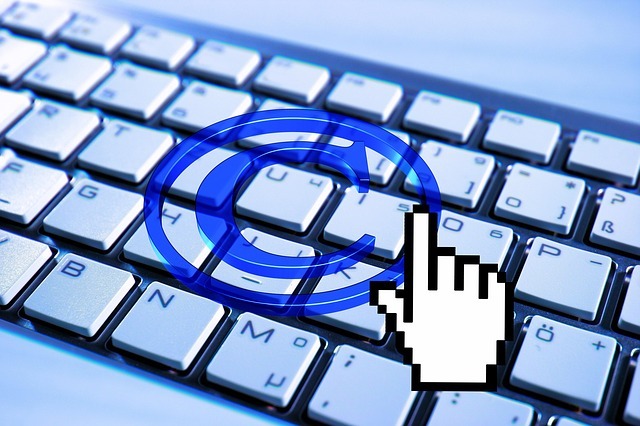 Here’s how to write a copyright notice that you should include in your online posts. If you get accused of plagiarism or if someone plagiarizes you, you want to be able to prove that it’s your work. Keep your rough drafts as proofs and/or emails you’ve sent to beta readers or friends with a time-stamp showing that you wrote it and when. Again, this is not entirely foolproof – this absolute horror story of an author who had an accusation of plagiarism levelled against her for her own work shows how this can be manipulated – but the more you have, the better. Also keep any correspondence related to plagiarism – you never know when you’ll need it, as my author Catherine’s story shows! If you’re no longer in the writing scene and still have stories up online on Wattpad or fanfic forums, make sure that you login every now and then or have notifications emailed to you if you get a message on that forum so you can be contacted if someone discovers plagiarism of your work. I’ve seen it happen in the Austen fandom where someone leaves the fandom and abandons the email address they used to register on a site, their work gets stolen, and then there’s no way to get in touch with them so they can protect themselves. If you really just don’t want to be reminded of your past stories ever again and don’t want to monitor them, it might be best to take them off the forum entirely. Obviously, people can save copies of the story and the Wayback Machine might archive them depending on the kind of site you posted on (if you have to log in to the site to see content, the Wayback Machine won’t be able to capture it), but you won’t leave yourself open to any future plagiarists. As soon as you learn about a plagiarism threat, jump on it. Get in touch with wherever the book plagiarizing you is sold (Amazon, Smashwords, B&N, etc.) and make a copyright infringement claim so you can prevent the plagiarist from getting any transfer payments for your work. Here’s how to make a copyright infringement claim on Amazon. Here’s what to do if your Wattpad story has been plagiarized. Make sure other people know that you’re on top of this. I’ve seen plagiarized works get taken down quickly once people start leaving reviews on its page that it’s someone else’s work and when those reviews are upvoted (on Amazon, this means hitting “yes” on “Was this review helpful to you?”), so mobilizing your fans doesn’t hurt either. If you’re the one accused of plagiarism, then this is going to mean a lot of back and forth with the online booksellers. Hopefully you’ll get a human instead of a bot, but keep at them until you get your work restored. *There’s also a service called Blasty that crawls Google for copyright infringement of your works. I haven’t used it myself, but it’s something to look into if you're concerned about potential plagiarism. I’m sorry to say that you’re not going to be able to stop plagiarism – if it happens to you, it happens. The lack of control and the sense of violation are probably the worst things about it. But if you’re vigilant and know what to do to protect your story, you can hopefully resolve it quickly with minimal impact to your work, your reputation, and your bottom line. One more time for the people in the back: PLAGIARISTS, YOU ARE THE WORST.